The Trump administration is considering closing the recently reopened US Embassy in Havana following a string of unexplained incidents harming the health of American diplomats in Cuba, Secretary of State Rex Tillerson said on Sunday. Tillerson’s comments were the strongest indication to date that the US might mount a major diplomatic response, potentially jeopardizing the historic restart of relations between the US and Cuba. 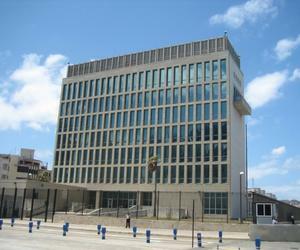 The two former foes reopened embassies in Washington and Havana in 2015 after roughly a half-century of estrangement. Tillerson once called the events “health attacks” but the state department has since used the term “incidents” while emphasizing the US still does not know what has occurred. Cuba has denied any involvement or responsibility but stressed it is eager to help the US resolve the matter. The US has not identified either a culprit or a device. Investigators have explored the possibility of sonic waves, an electromagnetic weapon, or an advanced spying operation gone awry, US officials briefed on the probe told the AP. The US has not ruled out that a third country or a rogue faction of Cuba’s security services might be involved. Of the 21 medically confirmed US victims, some have permanent hearing loss or concussions while others have suffered nausea, headaches and ear-ringing. Some are struggling with concentration or common word recall.